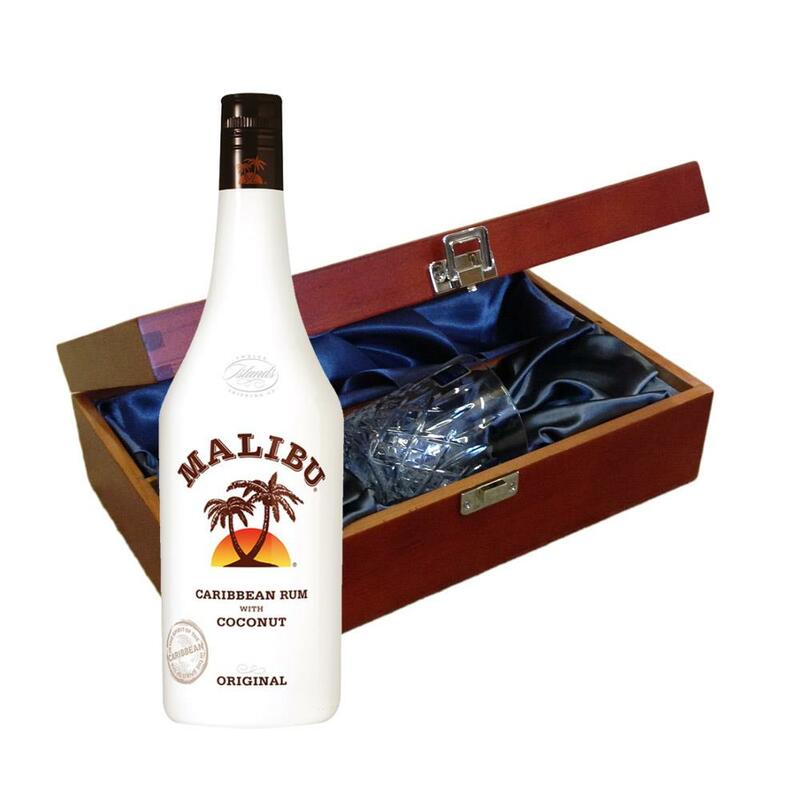 Send a bottle of Malibu Caribbean Rum 70cl wine in a lovely box beautifully stained featuring traditional joins with hinged lid and clasp fastening. Along with a beautiful hand cut lead crystal Royal Scot glass. All gifts come with a gift card with a message of your choice. Malibu Caribbean Rum - Malibu is a sweet, coconut flavored Caribbean white rum, with a bold taste. Sold in over 80 countries, Malibu rum has a taste reminiscent of coconut, almonds and mocha. This product is hand packed onsite by Gifts International, and is not affiliated with any other brand. Gifts International is responsible for this product combination/set.